Yemeni army force shave foiled a naval attack by the Houthi militia at the western coast frontier of Hodeida province. 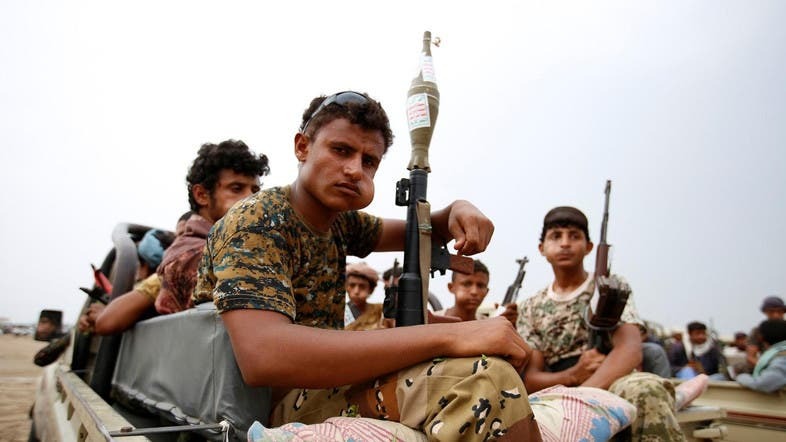 According to the official website of the Yemeni army, they foiled the attack by “Tuhammia" resistance forces of the Houthi militia towards the village of Qataba near the coast of Khokha city south of Hodeidah in western Yemen. It said all Houthi fighters were killed in a fierce battle that lasted for hours between the forces of the National Army and the militia. This follows the blocking of a naval attack by the Houthi militia on Tuesday in the same city using three fishing boats, that were destroyed, killing the fighters on board. The air force defense systems of the Arab coalition intercepted a ballistic missile launched by the Houthi militia on the coast of Mukha in western Yemen on Friday evening. A military source said that the air defenses blew up the missile over the city in uninhabited areas without causing any damage. Arab coalition fighters continued to launch air raids on the Houthi militia positions in Al-Jarahi and Zabid areas on the West Coast Front. According to field sources, air raids targeted reinforcements of the Houthi militia in farms in Al-Ghawadr district, in the Directorate of Beit al-Faqih. With the support of the Arab Coalition forces, the Yemeni army continues its military operations to complete the liberation of the West Coast and to secure international shipping traffic from the threat of the Houthi militia, which is suffering heavy human and material losses in the fighting there.